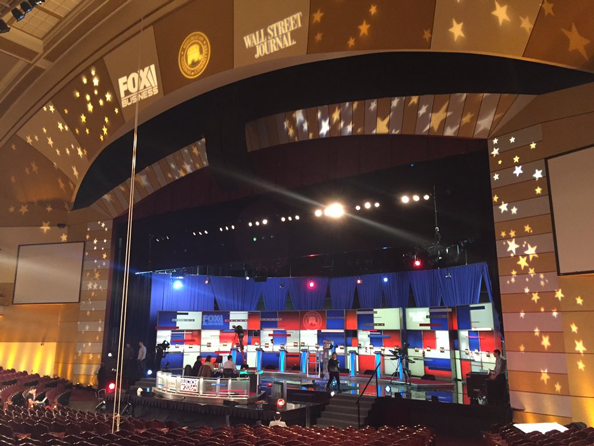 Fox Business Network will utilize the debate set its sister channel, Fox News Channel, uses for its debate Tuesday, according to a photo of the stage. The debate, which is produced in partnership with the Wall Street Journal, will be moderated by Neil Cavuto and Maria Bartiromo. Fox Business has gone on the defensive, emphasizing that its debate, despite a similar theme, will not take the route of CNBC’s ill-fated debate.